The Midwest isn’t going to let Florida Man have all of the fun. 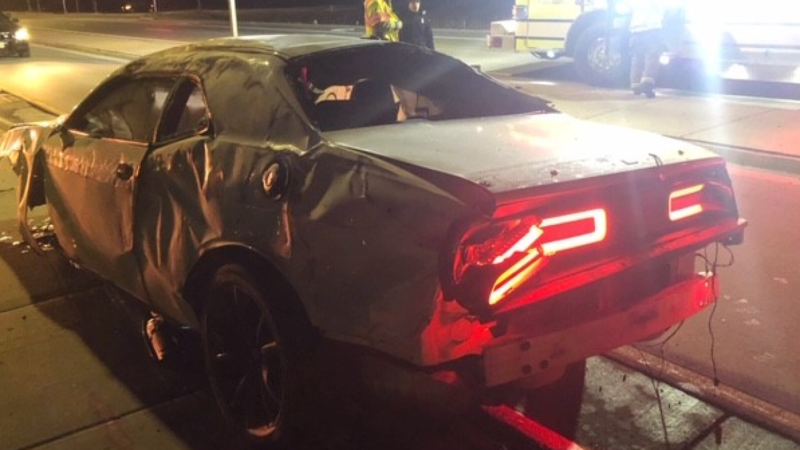 30-year-old Racine, Wisconsin man Tony Griffin was having way too much fun on public roads with his 2017 Dodge Challenger, when he barrel-rolled the muscle car a whopping six times at more than 100 miles per hour, according to WTMJ. The accident occurred near the intersection of State Highway 20 and County Highway V in Southern Wisconsin. And even though this happened in late-December, the man's miraculous luck is just now surfacing on social media. How miraculous? 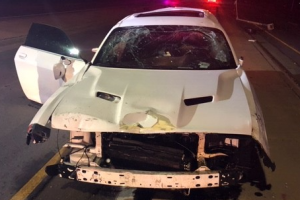 Both Griffin and his 25-year-old passenger survived. The two were both rushed to the hospital and according to police, their injuries were not considered serious. 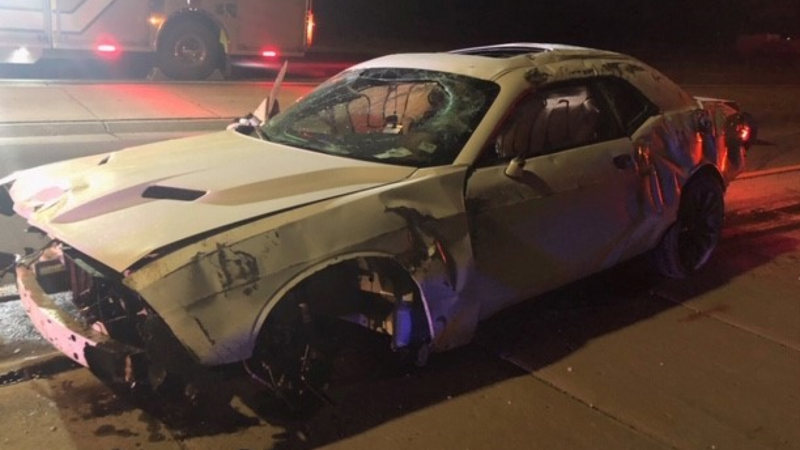 Not surprisingly, Griffin was hit with a drunk driving charge and went straight from Ascension All Saints Hospital to the Racine County Jail. The car’s face is ripped off, but we still have a pretty good idea of what kind of Chally this was. There’s a pretty big gap between the engine and the front bumper brace which makes us think it was a lower-end V-6 model. It’s no Demon, but that Pentastar V-6 still has no trouble getting up to triple-digit speeds. Judging by the wheels and the sunroof, it looks like this high-roller sprung for the SXT Plus. Also, anything other than an SXT or SXT Plus features badging on the front fenders indicating which model it is, which is absent on this Challenger. Remember kids; driving drunk is a bad idea, even if it results in cool headlines. A modern lesson in Newton's Third Law.